Last September, I was wandering around Brooklyn’s deep-fried social event of the late-season, the Atlantic Antic where, low and behold, I bumped into a few of my favorite local producers of delicious drinkables — Nicole Austin, distiller for Kings County; Bill Potter, production manager and partner at New York Distilling; and the woman who, if there is a civil war or an apocalypse I want on my survival team: Bianca Miraglia, a person who both a) takes no prisoners and b) makes some seriously groundbreaking, exciting fortified wine via her company Uncouth Vermouth. With the mingling aromas of roti, sizzling sausage and peppers, sugary zeppole, and fried sardines lingering around us, we got to catching up and chatting, eventually landing on the topic of cocktails made with local spirits. Nicole brought up an interesting point: “You know,” she lamented, “I just wish more bartenders worked with local spirits.” As a died-in-the-wool New York patriot, I agree. While there are many, many who celebrate the spirit of New York on their list of mixables, it’s kind of hard to pick up a menu with a Brooklyn on it and find that it’s made with whiskey not only from beyond the borders of the County of Kings, but more likely a plane ride rather than a car ride away. Not that there’s anything fundamentally, totally wrong with that. The cocktail renaissance has given us many wonderful things, not the least of which is the rise, return, and creation of craft spirits from around the globe that brings a sky’s-the-limit punch of creativity to a bartender’s job, and no end to the pleasures of the palate for those of us on the consumer side of the stick. But since I wrote the story here on New York’s liquor laws last year, the number of spirits makers has grown even more – from 40 and change to over 50, not to mention established local producers releasing new products out into the world as well. By this time next year, I’m pretty excited to think about what new things we’ll be able to taste crafted from within our very borders. So while we celebrate craft spirits and bartending movement, be it with tinctures from Turin, white dog from Washington, or Bourbon from Brooklyn, I wanted to take a moment or twelve or twenty and celebrate the latter — our own New York producers’ contribution to this heady movement — by asking them to share some of their favorite cocktails. We begin this series with an all-time beloved classic, the Manhattan, from one of my favorite producers, Finger Lakes Distilling, a spot that nearly caused me to crash my car — not from irresponsible post-indulgent drinking and driving (because, as I need not remind any of you, that is never, ever, ever okay), but because during a trek up there three years ago or so I spied Brian McKenzie and Thomas Earl McKenzie’s gleaming, gorgeous copper still and rectification column through the windows of their Seneca Lake distillery. I nearly swerved off the road with excitement. 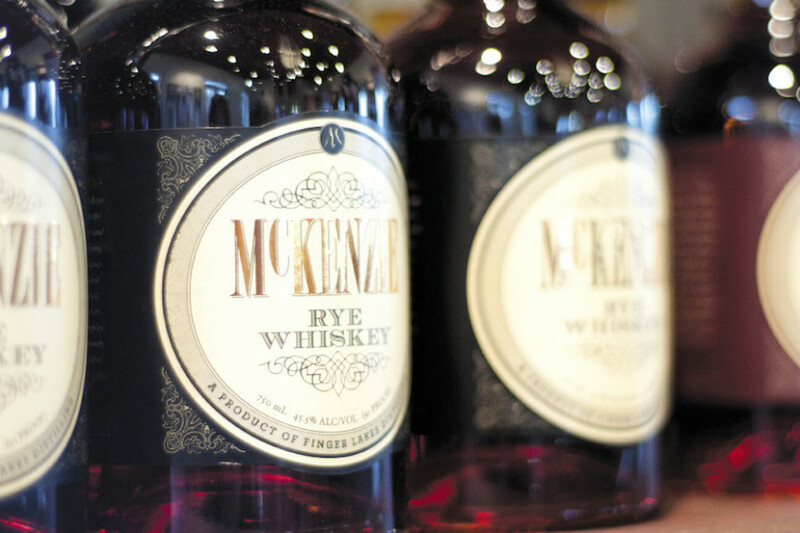 Brian’s Manhattan sticks to tradition, making good use of their McKenzie rye, a spicy spirit with a soft finish that Thomas Earl makes using locally sourced grain, ages in new, charred American oak barrels, and finishes in sherry casks that come from local producers as well. Dig it! “I chose the Manhattan because our rye really stands up well in it — you can taste the unique flavors of the whiskey as a base ingredient,” Brian says. Indeed it does, and the dash of their fresh cherry liqueur in the cocktail adds a bit of a brightness to the drink, too, which I love. 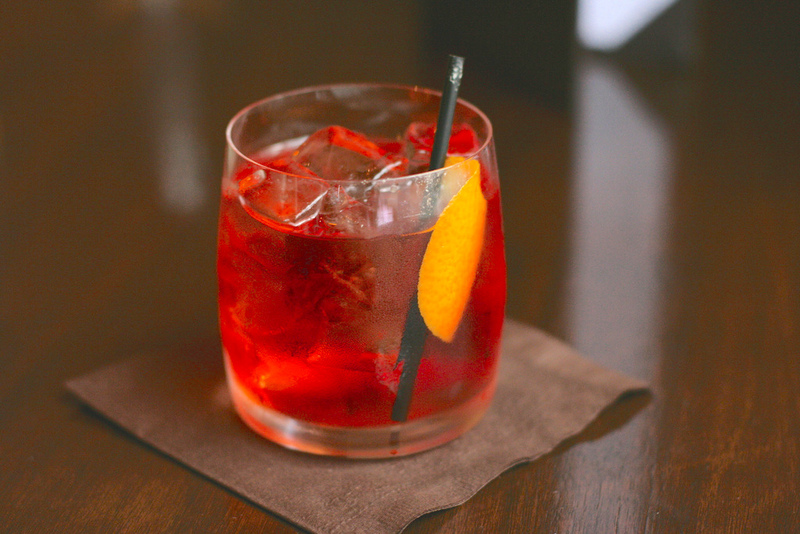 “We’ve had so many people tell us that our rye is the go-to for their Manhattan. 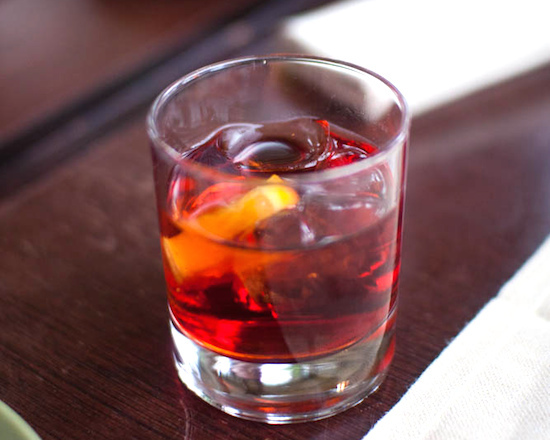 On a personal level, Rye Manhattans have been our family’s celebratory cocktail for many years during the holidays and family get-togethers.” Not a bad tradition at all. Read our 2012 profile of Finger Lakes Distilling and get their local berry rosado recipe here. Combine first four ingredients in an ice-filled mixing glass. Stir until chilled, and strain into a cocktail glass. Garnish with the Luxardo Cherry. Or, if you can find it, get hyper-local and seek out Barker & Mills Bourbon Vanilla Cocktail Cherries, made by transplant Staten Islander Ryan Barker, who not only makes a mean cherry, but has also curated the Good Beer Seal-winning brew list at Adobe Blues in Port Richmond.